Education authorities in Beijing have removed an extract from the Bible included in secondary school textbooks due to it receiving sharp criticism it was propagating "Western" values. The Beijing Academy of Educational Sciences had included the extract from the Book of Genesis in textbooks meant for middle school students, said The Hindustan Times. 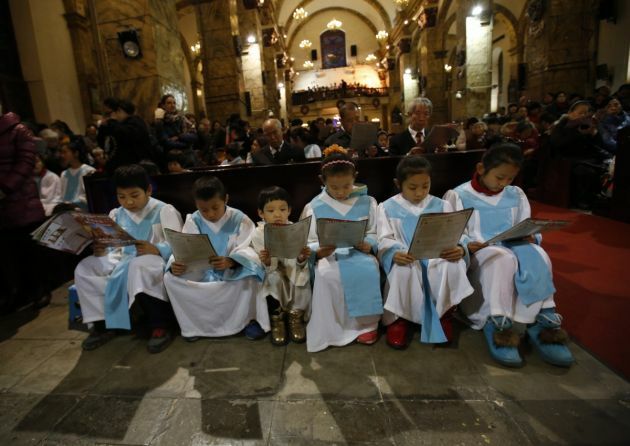 Officially atheist China has allowed bibles, along with Christianity since the early 1980s but there is now a pushback against Western thinking in all aspects of education, from economics to fairy tales, The Financial Times reported. "The writing of our humanities textbooks must not be let loose . . . it affects politics, national unity and our people's solidarity," retired economics professor He Xin, a member of government advisory body the Chinese People's Political Consultative Conference, said on Weibo. The tabloid Global Times reported it had been included "to broaden students' horizons by introducing them to Western mythology". "Columnist Wang Xiaoshi published a commentary on Hainan-based news site cwzg.cn, saying that the textbook violates China's Education Law, which mandates that China adopt the principle of separation of education and religion," the newspaper said in a report. The Beijing Academy of Educational Sciences had included extracts from the Bible's Book of Genesis in its Chinese language textbook for first-year middle school students since early 2002. But the book recently triggered lively discussion online, as some netizens questioned why the Christian content appeared in a textbook in a secular country, The Global Times reported. An employee from BAES previously told the Beijing Youth Daily that they had included the Bible story to broaden students' horizons by introducing them to Western mythology. Mei Hualong, a PhD candidate in Ancient Near Eastern Studies at Harvard University, was quoted by news site guancha.cn as saying that the Bible originated from the ancient Middle East and has greatly influenced the West. The book is thus an important channel for students to learn more about the outside world, and including some of its contents in a textbook reflects China's cultural confidence, Mei asserted. The latest Bible attack follows a ruling last year from the minister of education that Western ideas have no place in Chinese textbooks, said The Financial Times. Im may a group of professors called on the government to have more Marxist economics in place of Western economics in university courses. "In the past two years I've seen a new push to emphasise traditional Chinese culture in textbooks and exam questions," said Li Xue, a secondary-school teacher in Beijing. "We never had to learn so many classical fables when we were in school as I see my daughter learning. It's the new top-down policy direction." The writers of the secondary-school book defended their inclusion of the Bible, saying they wanted to broaden students' understanding of mythology by including a famous western tale, according to an interview in the Beijing Youth Daily, a State-run newspaper.